Umbrellas. You never actually have one when you need one, amirite? I’m rite. If you carry one, it’s like a surefire way of ensuring no rain. If you don’t have one, the whole damn sky is pouring. It’s a conspiracy!! 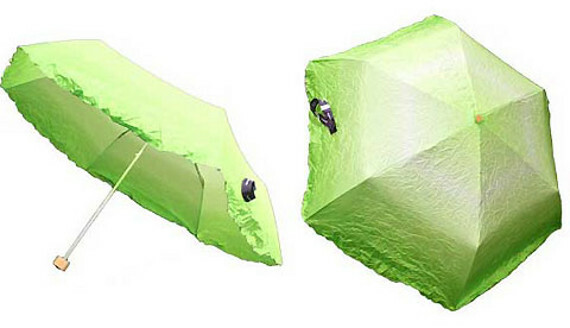 Maybe I could trick the weather-gods into thinking I’m unprepared with the Vegetabrella. 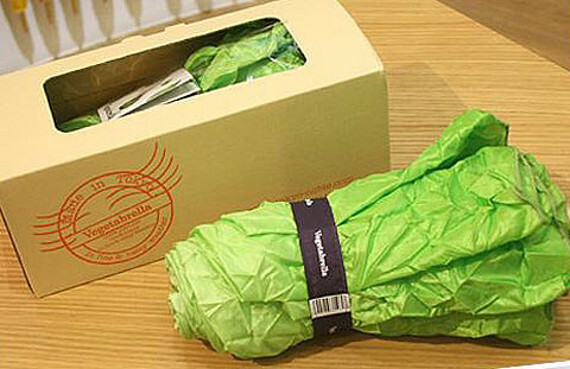 It looks like lettuce, even down to it’s velcro wrap which resembles a produce rubber band. The weather-gods will be like “Oh looky there, she doesn’t have an umbrella, let’s f*** up her day with some thunderstorms!” but then when it starts pouring, I’ll be like “Haha — suckers!” And that… is probably when they’ll hit me with a lightning bolt.